We designed the PCB footprint on this board to accept any of three connector sizes: 156 pins, 96 pins, or 60 pins. Only one connector of these three sizes may be mounted on the board. Connectors are not included! The customer must provide us with the desired connectors and we will mount them on the boards and test them. 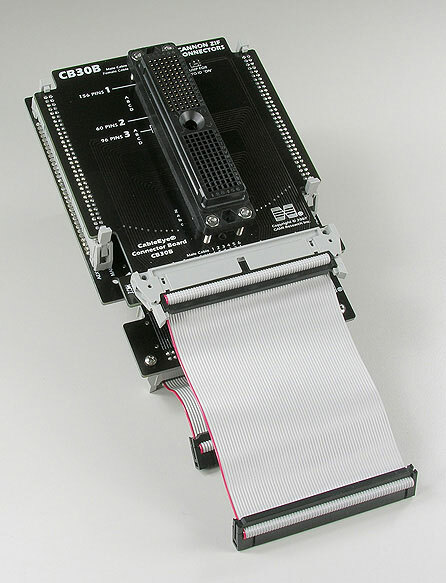 Assembly and test are included in the price of the board. Because of the complex and dense nature of these connectors, we do not advise customer-installation unless proper wave soldering equipment is available. Note that these mating connectors are expensive and may require some lead time to obtain. 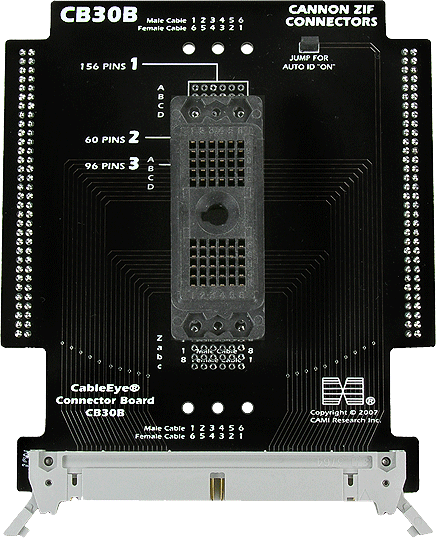 Important: These CB30B boards are daughter boards intended to mount on a set of CB30s (see Photo 2 below). Plan on ordering a set of CB30s with the CB30B if you do not already have a set. Set of two boards with four 64-pin latch headers. Requires 384 test points and a set of CB30 boards. 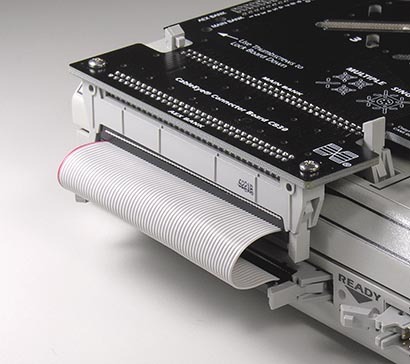 Note that the latch headers supplied with the CB30B should be mounted to the CB30 boards to accommodate the 64-pin sockets on the bottom of the CB30B; CAMI Research will configure this for you if the CB30s are ordered at the same time as the CB30B. 2 - CB30B Mounted on a CB30 Board.